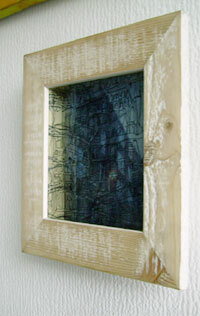 A reflection on where I live: I drew a map of the northern-eastern corner of Leiden as a mirror-image on the glass. At the centre of this map are the intersection of the Kooilaan + de Willem de Zwijgerlaan, with churches, mosques and community centres marked. 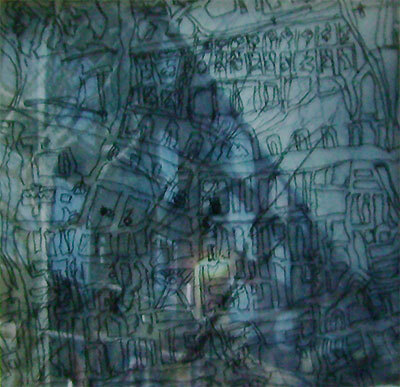 A transparency of vein-like branches lies in a curve behind this drawing and behind you can see a photograph of appartments from my street in Leiden north. If you change your view, then the various intersecting lines change making the spaces between them seem mutable. 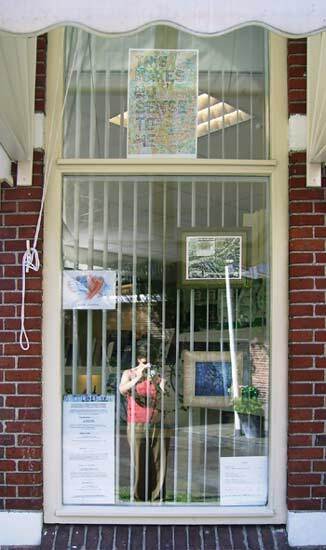 << Dierenkliniek de Mare (The Mare Veterinary Clinic), Leiden. 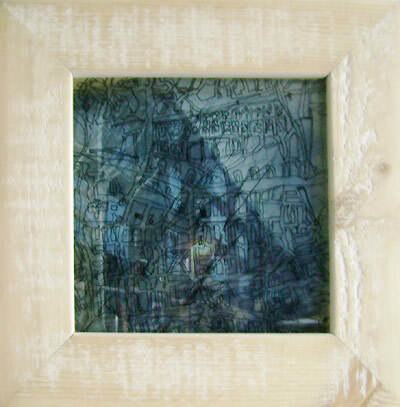 The other works are top to bottom by: Daniel Lehan (www.daniel-lehan.com), Ella Guru and left, Elaine Arkell. 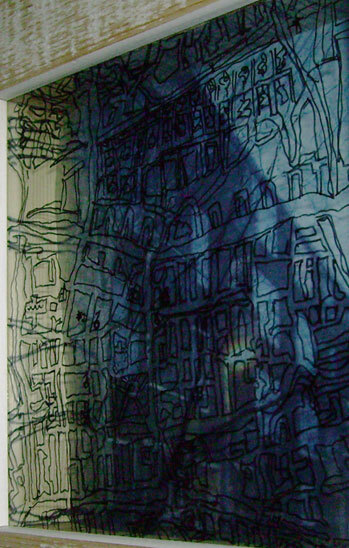 This window was part of the Galerie TamTam show in 19 windows.